Parties are meant to be happy – so why stress yourself out when planning your child’s next birthday bash. 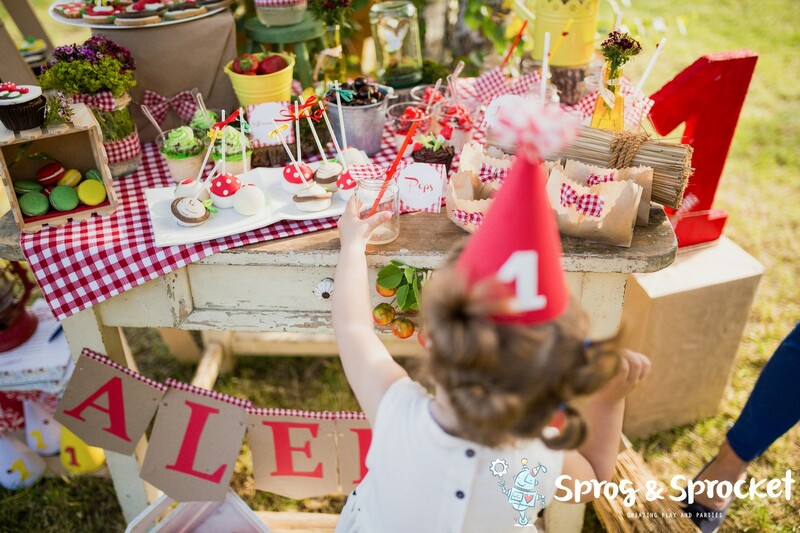 These few tips will have you planning your kid’s party like a pro! Are you a craft queen or a DIY-did-I-bother? More botch than boss when it comes to cake making? What’s your budget (don’t just think about money here – how much time do you have available?). Playing to your strengths and budget is half the battle. Stick to what you’re good at and get some help with the rest! There used to be this old rule that the number of guests you invite to your kid’s party should be your child’s age plus 1. But let’s be real here – what kind of party is it with just 2,3, or 4 kids? Kids entertain each other, so while more than a handful can sound daunting, with a bit of direction and some good activities they’ll pretty much look after themselves. Catering or food equipment – think chafing dishes, tableware, linens, cotton candy or popcorn machines, etc. It’s good to know what equipment you’ll be having at the party so that you can select an appropriate venue. For example, our Portable Playground can’t be taken up or down stairs. Outdoor spaces such as your backyard or another venue that allows you to move the party between indoors and outdoors is ideal when weather permits. This also gives you the choice to move things entirely indoors if inclement weather totally takes over – a good option for the early Spring/late Autumn – especially in Calgary! Your house & backyard is the obvious choice but also consider a relative’s house if yours isn’t an option. One of Calgary’s beautiful parks make for family-friendly party spaces (though for the younger kids, I’d make sure you have parents stay so that you have the extra adult supervision). In some case you’ll also need a city permit so don’t forget to check that out! If you’re going to be planning a summer birthday make sure you get the contact details of your child’s school friends before they break up for holidays! BONUS TIP: Wondering how long you should expect to host for? It’s a good idea to decide on your kid’s party theme early so that you can build your party plan & make your shopping lists. If your child is old enough to contribute, ask them what they would like – or for younger children give them a couple of choices to choose between. Helping them feel special through the process will increase their excitement about their special day! Start early and leave yourself the time to shop around and wait on shipping times. Sites like ETSY have some seriously talented folk making amazing décor, but you’ll want to get orders in early so you aren’t panicking just before party day wondering if everything will arrive. Aim to get your invites out about 4 weeks before your kid’s party. This gives people enough notice that most won’t already have plans. At the same time, it’s not so far ahead that people put the invite out of the way and forget about it. Paper invites going hand-to-hand are a great way for kids to personally invite their friends (check back soon for some free printable Sprog & Sprocket invites). Three sites that are worth considering for email invite include Punchbowl, Paperless Post and Evite. Paperless Post works on a coin system that you buy in bundles; they’re anywhere from $0.07 – $0.30USD depending on how many you purchase and a premium invite will cost on average between 2-7 coins per guest. Keep in mind, they’re a bit sneaky with how they advertise some of their ‘free’ invites because while the ‘card’ is free the envelope will sometimes cost a couple of coins per guest. They give 25 free coins to new sign-ups. Pricing is pretty simple – it’s either free or its premium. For premium invites you’re charged based on the number of invites going out (sort of); packages of 15, 50, 125, 300 and 750 are available and you can’t transfer any unused invites to your next party (so if you have 20 guests it will cost you the same as if you had 50). Do you have a favourite invite site that I haven’t mentioned? Share it with us in the comments and I’ll be sure to check it out! Starting the planning process 8-12 weeks ahead may seem early but this allows you time to secure any party rentals before your special day gets booked by someone else! If your kid’s party falls on a weekend that might be busier than normal – like Canada Day weekend for example – then get your party rental booked as early as possible so that you aren’t disappointed! Booking one of our playgrounds or soft play spaces is super easy! Fill out our contact form here or call us on 403 719 7776.